Coach Christopher Danjuma says he is armed. He has enough information at his disposal that would aid the U20 Women National Team, Falconets, beat their Moroccan counterparts in this weekend’s 2018 FIFA U20 Women’s World Cup qualifying match. Nigeria reached the second round of the African qualifying campaign after 9-0 aggregate trouncing of their Tanzanian counterparts in September. 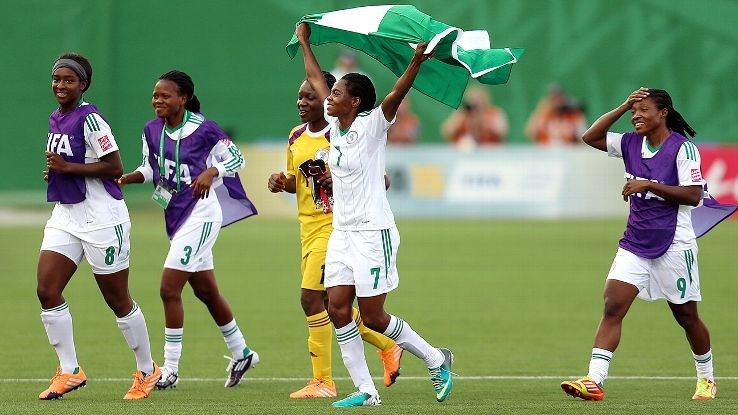 Billed to arrive in Casablanca on Friday aboard a Royal Air Maroc flight from Lagos, the Falconets’ delegation will be flown to Sale, a city some 100 kilometres from Rabat, where they will battle the Moroccan U20 girls on Sunday. Coach Danjuma says he will come up with the strategy to emerge victorious. Speaking to thenff.com, Danjuma said his team has worked hard enough to pick a win in Morocco. "I can assure Nigerians that we know much about our opponents. We have been able to lay hands on a video of Morocco’s last qualifying fixture against Senegal and we have watched and analyzed the game. We will come up with the right tactics to overpower them." Bounce Sports Ep. 1: Who Deserved The FIFA Best Men's Player Awards?